Queen Victoria is recognised around the world as one of Britain’s most famous monarchs. But how much do you know about her children? The eldest child of Queen Victoria and Prince Albert, little Victoria – or ‘Vicky’, as her family called her – was born 21 November 1840. Her full name was Victoria Adelaide Mary Louisa, and her official title was Victoria Princess Royal. An intelligent, enthusiastic youngster, her parents made sure she received a very good education – she was learning to speak French and German before she was five, in fact! 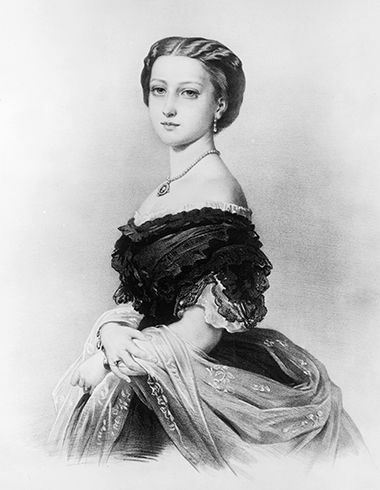 In 1858, when Victoria was 18, she married Prince Frederick William of Prussia* and went to live with him in Germany. The royal couple had eight children together in total – Wilhelm, Charlotte, Heinrich, Sigismund, Victoria, Waldemar, Sophie and Margaret. When her husband took the throne in 1888, Vicky became Empress of Germany and Queen of Prussia – but sadly, Frederick died just a few month’s into his reign. Victoria spent the rest of her life in mourning and retired to Schloss Friedrichshof, a castle she had built in memory of Frederick. Her own death came a-calling 5 August 1901, when Vicky was 60 years old. Next came Bertie, or officially Albert Edward, born 9 November 1841. The first son of Queen Victoria and Prince Albert, little Bertie was first in line to the throne. As a young boy, he was rather mischievous and quite the trouble maker! But his parents were quick to fix that, and put him on a strict education regime to ensure he was prepared to become King of England in the future! Following her husband’s death in 1861, Queen Victoria withdrew almost completely from public life. Whilst she continued to rule over England, she allowed Bertie to represent her at important occasions and social events. In 1863, Prince Albert Edward married Princess Alexandra of Denmark, and together they had six children. When Queen Victoria died in January 1901, Bertie became King Edward VII. 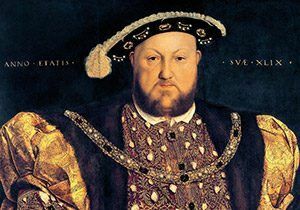 He ruled the country with energy and enthusiasm, and he quickly became a popular king. He also helped build good relationships between Britain and other countries. After reigning for nine years, King Edward VII died in 1910, aged 68. On 25 April 1843 sweet, little Alice came along, Queen Victoria’s second daughter. Alice was known for her kind and caring nature. She nursed her father in his final days, and comforted her grieving mother following his death. In July 1862, Princess Alice married the German Prince Louis of Hesse, and moved to the city of Darmstadt in Germany to live with him. They had seven children in total – Victoria, Elizabeth, Irene, Ernst, Friedrich, Alexandra and Marie. Throughout her life, Alice cared for those in need. She became interested in nursing, too, and learned from the world’s most famous nurse…Florence Nightingale! During times of war, Alice helped make bandages and visited hospitals to care for wounded soldiers. In 1873, tragedy struck when Alice’s youngest son Friedrich, known as ‘Frittie’, died after falling from a window, leaving Alice completely devastated. And even more tragedy came a few years later when the household fell ill to a disease called diphtheria. Despite Alice’s efforts to nurse the family back to health, the disease took the life of her youngest child Marie. Shortly after, Alice herself caught diphtheria, too, and sadly died 14 December 1878, age 35. On 6 August 1844, Queen Victoria gave birth to her second son, Alfred. A cheeky, mischievous youngster, the family always referred to him as Affie. At just fourteen, Alfred joined the Royal Navy – and he proved to have a great set of sea legs! He quickly moved up through the ranks and in February 1866, when he was 21, he became Captain of a ship called HMS Galatea. That same year, he officially became Duke of Edinburgh and Earl of Ulster and Earl of Kent. 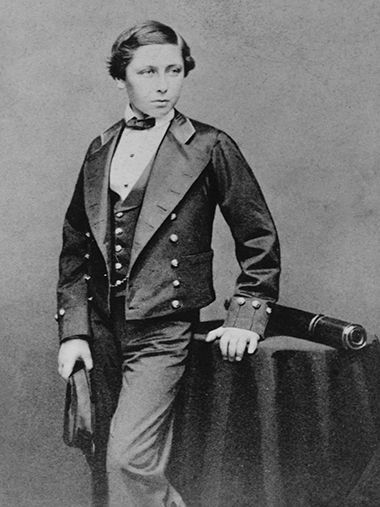 Alfred loved to travel, and in 1867 he set sail on a world voyage on the HMS Galatea – a voyage that saw him become the first British Royal to visit Australia! 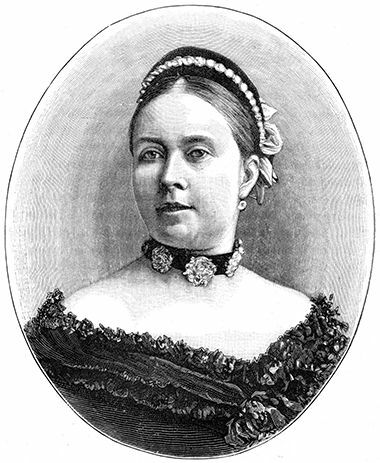 In January 1874, Alfred married Grand Duchess Maria Alexandrovna of Russia. 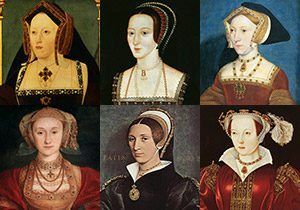 The couple settled together in London, where they had five children – Alfred, Marie, Victoria Melita, Alexandra and Beatrice. 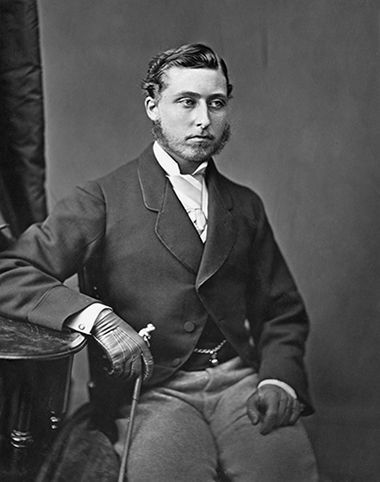 Following the death of his uncle Ernest in 1893, Alfred became the Duke of Saxe-Coburg and Gotha*. The role meant that, much to his disappointment, he had to leave behind his work in the Navy. He didn’t have to put up for it for long, however – on 30 July 1900 Charlie died aged 55 at a castle called Schloss Rosenau in Coburg, Germany. 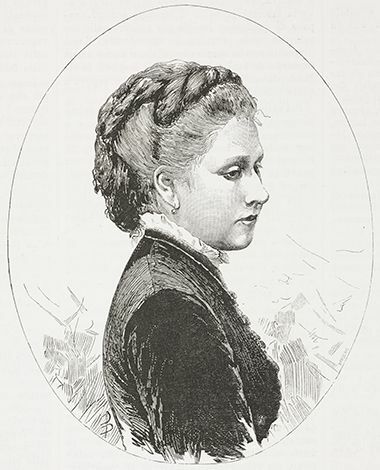 Next came another girl…Princess Helena, born 25 May 1846. The family often referred to her as Lenchen, a shortened version of the German nickname for Helena – Helenchen. As youngster, she was a tough little girl who stood up for herself against her older siblings. Go, Lenchen! In July 1866, Princess Helena married the German Prince Christian of Schleswig-Holstein, in Windsor Castle. 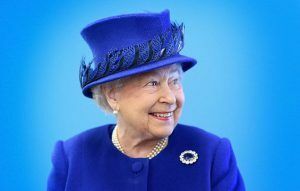 So that Helena could stay close to her mother, who she carried out duties for, the couple moved into a country house in Windsor Great Park. They had five children in total but, tragically, their last child, Harald, died just eight days after his birth. Helena was an enthusiastic and active woman. She had a great interest in nursing and became a founding member of the British Red Cross – a society helping people in times of crisis. She was creative, too, and became the founding member of the Royal School of Needlework. Helena and her husband Christian are said to have had a very happy marriage together. Sadly, Christian died in 1917, shortly after their fiftieth wedding anniversary. Helena herself died six years later, on 9 June 1923, in Schomberg House, London. 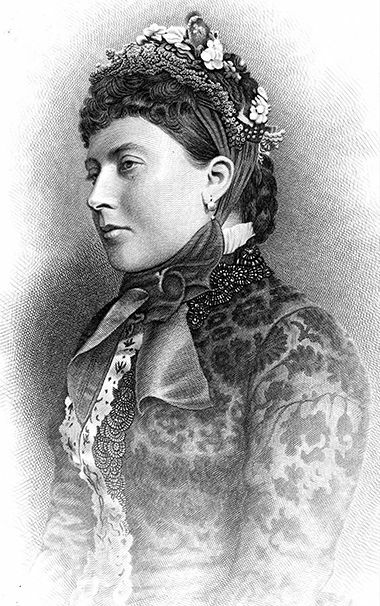 Then, on 18 March 1848 , came little Louise – officially Princess Louise, Duchess of Argyll. She was considered the most beautiful of Queen Victoria’s children and had an impressive talent for art. In March 1871, Louise married John Campbell, Marquess of Lorne. At the time, it was very unusual for a princess not to marry a prince. Nevertheless, Queen Victoria approved, hoping their marriage would make the royal family more popular with the country’s nobility*. Louise was keen to improve opportunities for women. In 1872, she helped set up a charity called Girl’s Day School Trust, which provided education for girls whose parents couldn’t afford school fees. She also founded the Ladies Work Society in 1875, helping poor women make money from needlework. In 1878 John was made Governeror General of Canada, and the royal couple moved to Ottawa, Canada. They returned to England in 1883, and once again Louise focussed on her work for women’s rights and opportunities. She pursued her love of art, too, and in 1893 completed her most famous art work – a statue of Queen Victoria which stands at Kensington Palace. Louise and John never had children, and following her husband’s death in 1914, it’s said Louise felt incredibly lonely. Louise herself died 3 December 1939, aged 91 after a long and eventful life. 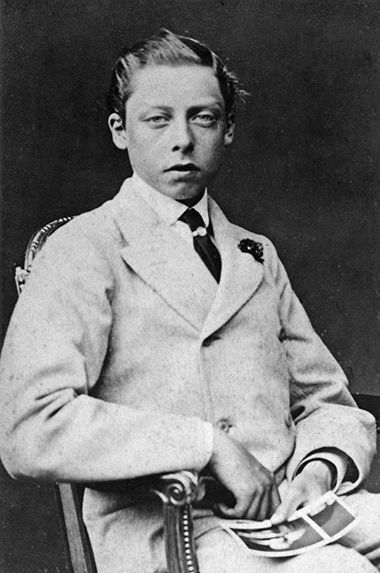 Then came Queen Victoria’s favourite child…Prince Arthur, born 1 May 1850. He was very disciplined and obedient, which his mother liked very much! Arthur grew up to become a military man. At age 16, he attended the Royal Military College and, after graduating, he was made a lieutenant in the British Army. His work took him to many exciting places around the world, including India, Canada and and Egypt! In 1879 Arthur (now officially Prince Albert, Duke of Connaught) married Princess Louise Margaret of Prussia. They enjoyed a wedding at Windsor Castle, and went on to raise three children, called Margaret, Arthur and Patricia. In 1911, Arthur was appointed the first Governor General Canada and went to live in Ottowa for several years, together with his wife and daughter Patricia. When the First World War broke out in 1914, both both Arthur and Louise became active in services and charities caring for injured soldiers. Sadly, Louise fell seriously ill and died in 1917, one year after their return to England. Arthur, however, went on to live a long, eventful life that saw him serve in both World Wars – yup, he caught the start of the Second World War, too. He died 16 January 1942, aged 91. 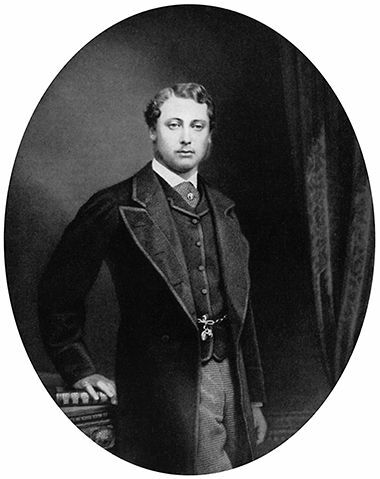 Queen Victoria’s youngest son was Leopold, born 7 April 1853. Prince Leopold was born with a disease called haemophilia, which meant when he injured himself, it took a long time for wounds to stop bleeding and heal. As a result, poor Leopold was forbidden to play with his siblings, and he spent much of his childhood alone. Despite fears for his health, Queen Victoria allowed Leopold to attend Oxford University, where he studied various subjects, including art and literature. He enjoyed traveling, too, and in 1880 toured the USA and Canada with his older sister Louise. On March 27 1884, Leopold fell down some stairs whilst in the town of Cannes in France. The fall proved tragic and Leopold died aged 31 – four months before the birth of his son Charles Edward. His wife Helena lived on another 38 years and raised Charles Edward and their daughter Alice. And finally came little Beatrice, on 14 April 1857. Known to the family as ‘Baby’, Beatrice was a happy child, spoiled by her parents and older siblings. Following Prince Albert’s death, Queen Victoria turned to her four-year-old daughter for comfort, forming a close bond that would last a lifetime. From a child, Beatrice became devoted to her mother and swore to forever be by her side. When she was a teenager, Beatrice became Queen Victoria’s personal assistant, helping her with whatever she needed. But things changed when Princess Beatrice fell in love with Prince Henry of Battenberg, and asked her mother for permission to marry him. Victoria was at first furious at the thought of losing her precious Baby, but eventually gave her consent. Phew! 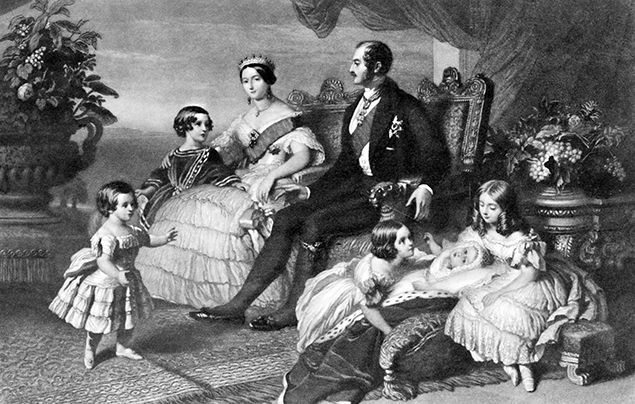 Beatrice and Henry raised four children together – Alexander, Victoria, Leopold, and Maurice. Sadly, Henry died in 1896 whilst fighting in the Ashanti War*, leaving Beatrice devastated. Now a widower, she continued to serve her mother during her final years. 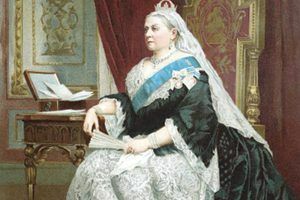 When Queen Victoria died in January 1901, a heartbroken Beatrice took on the role of preparing her journal entries so they could be published for the public to see – a job that took 30 years to complete! Beatrice herself lived a long life. She died 26 October 1944, at the grand old age of 87. *Prussia was a former state in northern Europe, covering parts of present-day Germany and Poland. *Saxe-Coburg and Gotha was a small state in Germany that existed from 1826 to 1918. *Nobility are the people belonging to the highest social class in the country. *The Ashanti Wars were a series of wars fought between Britain and the Ashanti Empire (present-day Ghana). Did you like learning about Queen Victoria’s children? Leave a comment below and leet us know!